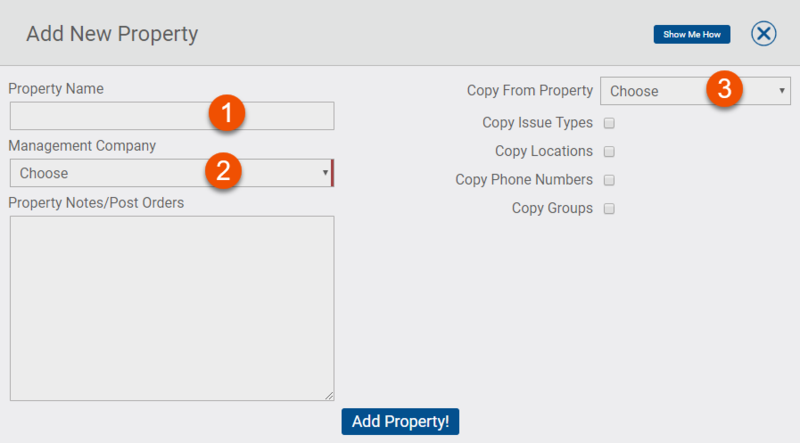 In this article we will go over the basics of how to Add a New Property and how to Add a New Property by Copying Settings from an existing Property. Step 1. Fill out the Property Name. Step 2. Assign the property to a Management Company by selecting from the Choose drop down of all your previously added Management Companies. Once a Property is successfully saved you must add a minimum of three things to have the Property go "Live" and be able to have an officer report on it. Click on the Locations drop down option and Add Locations (if you do not add locations your locations will be "Default"). NOTE: If this is the first property you are adding you will not be able to use this option. TIP: This saves a lot of time when you are adding multiple accounts with a similar scope of service. Step 1. Select a property to copy from by clicking the Choose drop down. Step 2. 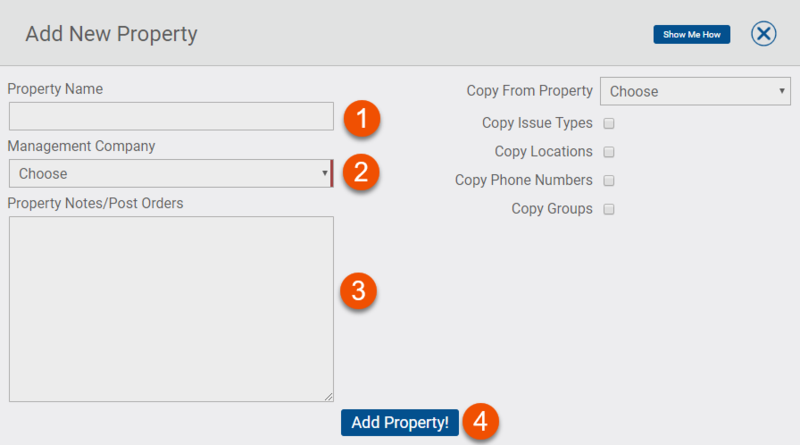 Check the box of the specific options you wish to copy such as Issue Types, Locations, Phone Numbers, or Group assignments from an existing property. Step 3. 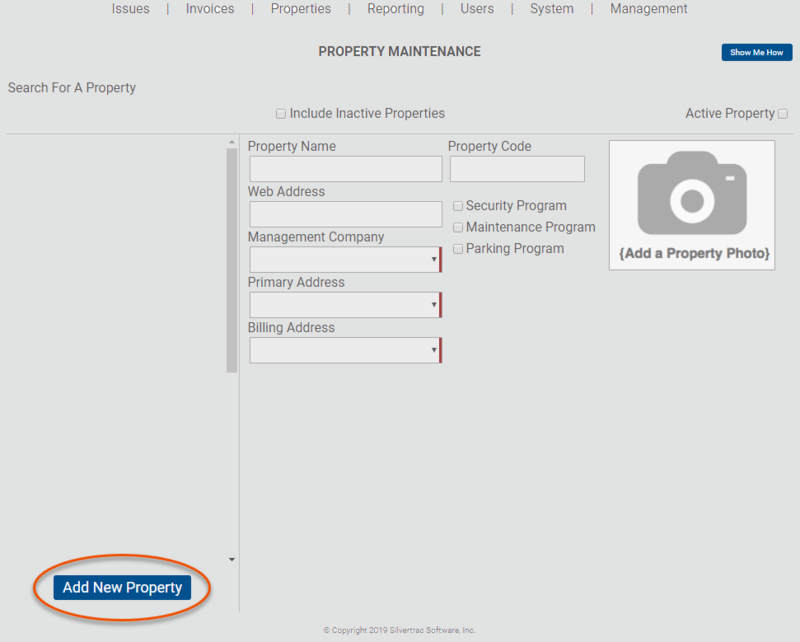 Click the blue "Add Property" at the bottom of the Add New Property box. 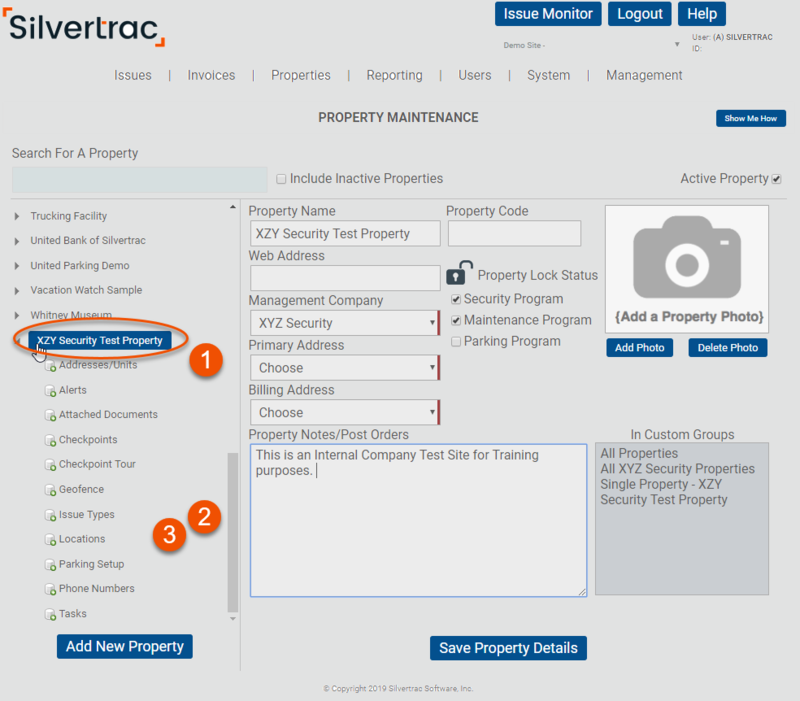 If you have further questions about adding or copying a New Property please contact your Customer Success Manager or email or call Tech Support at support@silvertracsoftware.com or 888-505-8722 ext 4.